It’s that time of the month again! We are having our October Halloween General Workshop on October 18th from 5 to 7p.m at Sidney Smith Room 1083. The theme for this particular workshop is of course, HALLOWEEN!! 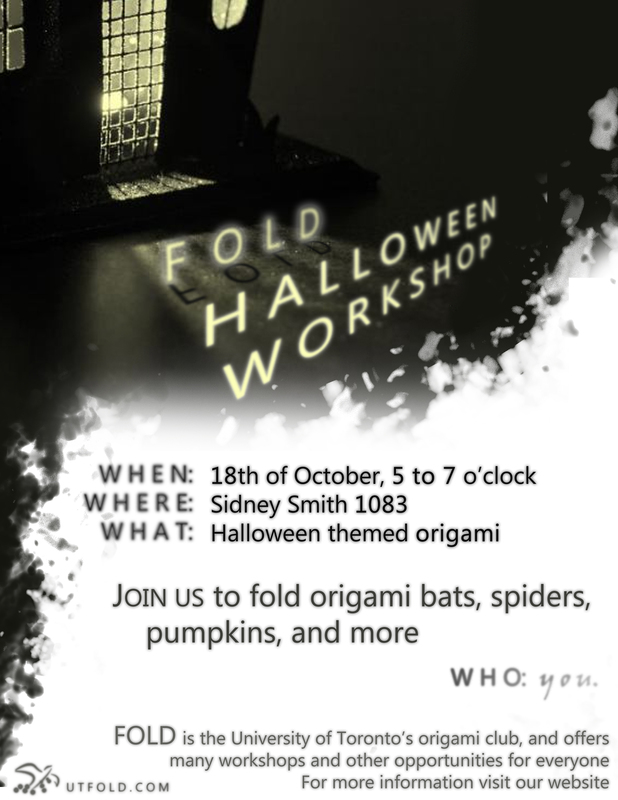 We will be folding bats, spiders, pumpkins, and more! See you all there! Next Post Calling for Art Coordinators! !